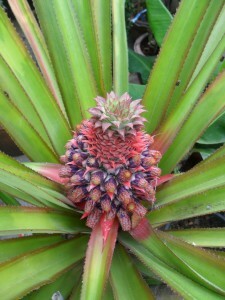 Thailand is an important pineapple producer. 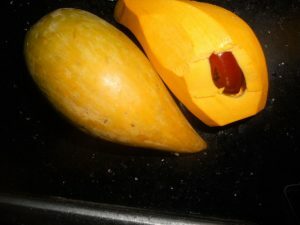 And there are incredibly many varieties available in the market. At Discovery Garden Pattaya we show and sell very tasty and very strange looking pineapple plants and explain visitors how to propagate them. 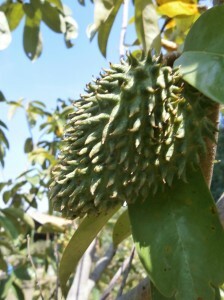 Graviolas (Annona muricata or soursop) are still relatively unknown fruits in Thailand. At Discovery Garden Pattaya you can now see mature trees that bear fruits until the end of February. The tea from the dried annona muricata leaves is available all year around and so are seeds and plants of all sizes. Amongst many other little known tropical fruits we grow for instance Tiesa (Pouteria campechiana) at Discovery Garden Pattaya (Thailand). Due to the texture of the slightly sweet yellow flesh, which tastes a bit like boiled egg yolk, tiesa is often referred to as “eggfruit”. Like graviolas, the fruits are harvested between early January and late February in Pattaya. Like so many mouthwatering things cashew nuts only came to Thailand after the Americas were discovered. 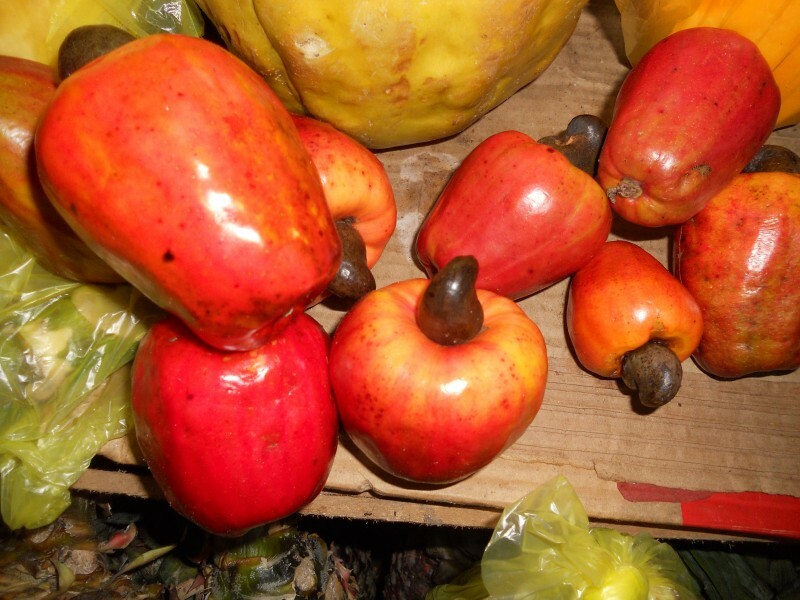 At Discovery Garden Pattaya we grow cashew trees (Anacardium occidentale) which produce cashew nuts and also cashew apples that can be processed into delicious juice or jam. Cashew seeds and trees are for sale as well. 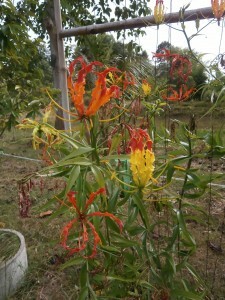 Gloriosa superba, also known as flame lily, climbing lily or gloriosa lily, can easily be grown from seeds or tuber (rhizome). 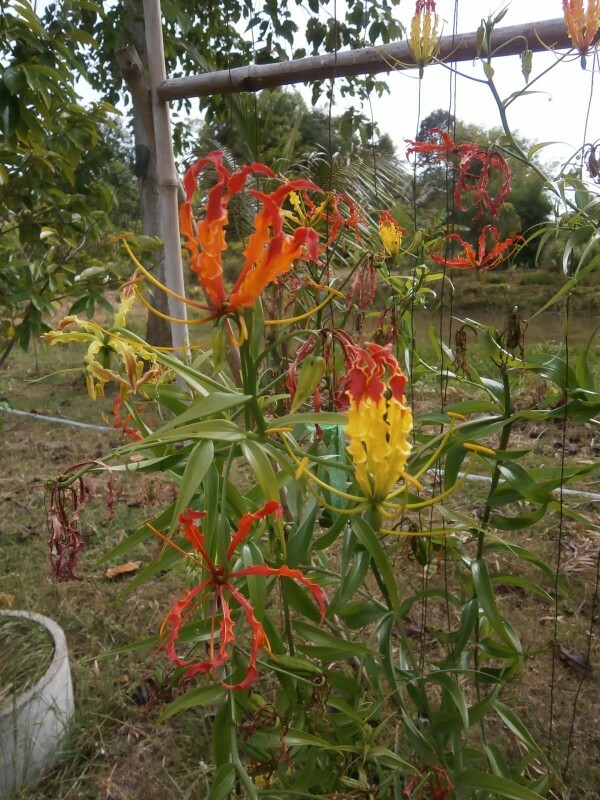 At Discovery Gardens in Pattaya and Nong Khai (Thailand) we show beautiful, but poisonous gloriosa superba (fire lily) mainly for decoration and offer seeds and tubers for sale.